Compensation should be more than your wages. 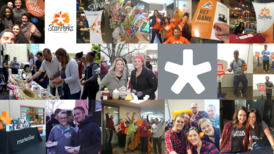 Our culture is built around an environment that encourages work-life balance, while remaining focused on our clients and the work of each employee. MarketStar offers competitive compensation, benefits, perks, and an enriching work environment designed to make your career beneficial for our clients, our company, and you.